Jointly presented by Adriana Karembeu and Frédéric Beigbeder, the prize-giving ceremony of the 12th Geneva Watchmaking Grand Prix (GPHG) was held in the Grand Théâtre de Genève this Thursday November 15th 2012. 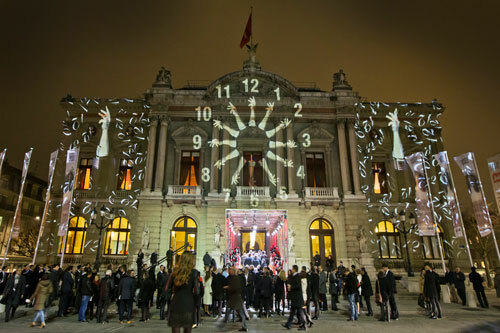 The glittering event was attended by Federal Councillor Alain Berset, representatives of the Geneva authorities, along with the most influential figures in the watch industry, all of whom had gathered to celebrate the 12th Art. "Our chronograph is the ultimate in high-precision timing; it consigns quartz to historical oblivion." stated M. Jean-Christophe Babin, the winner of the “Aiguille d’Or”. Once again this year, the public was also able to make its choice among the 70 watches pre-selected by the jury. The Public Prize is awarded by visitors to the Geneva exhibition and by internet visitors who voted for their favourite watch on the www.gphg.org or www.worldtempus.com websites. All the prize-winning and nominated watches from this 12th edition of the GHPG will be on show at the Swiss Embassy in Moscow from November 28th to December 1st. This year, the watches pre-selected by the jury were also exhibited in Hong Kong, Shanghai and Geneva, prior to the prize-giving ceremony.